Brighten someone's day with a bouquet! Flowers are one of the most classic, timeless Valentine's Day gift ideas. They smell good, they look pretty and they're just a nice way to show someone you're thinking of them. From red roses to carnations in the shape of a puppy, there are tons of gorgeous flower arrangements online that are very easy to order. And, if you're on the fence about a classic bouquet, we also found some adorable succulent and bamboo options that are just as romantic! 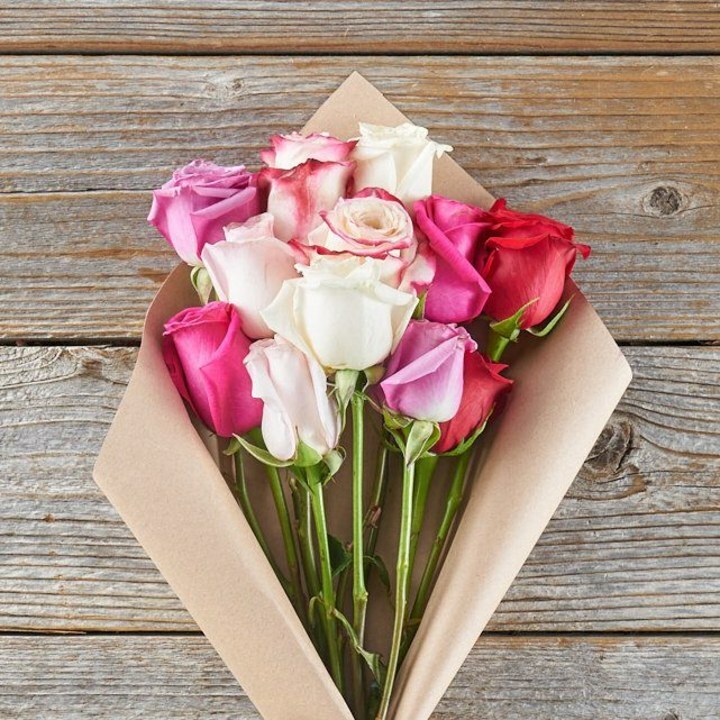 Whether you want to send flowers to your partner, your bestie or your mom this Valentine's Day, we found some really great options. We're even tempted to order some for ourselves! 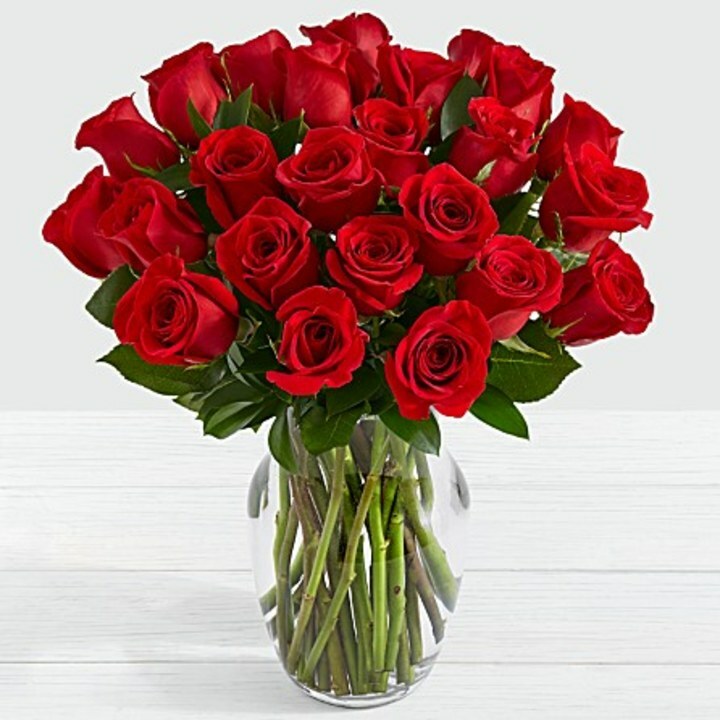 These gorgeous long stemmed roses are a classic symbol of love. 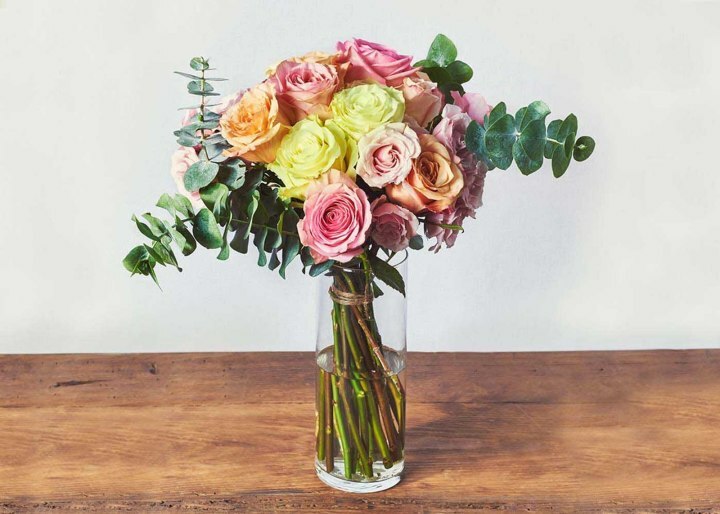 ProFlower is offering the bouquet at a discounted price and it comes with a glass vase. And if roses aren't your thing, the site has plenty of other options to choose from. Of course Amazon is always a convenient option for ordering online. 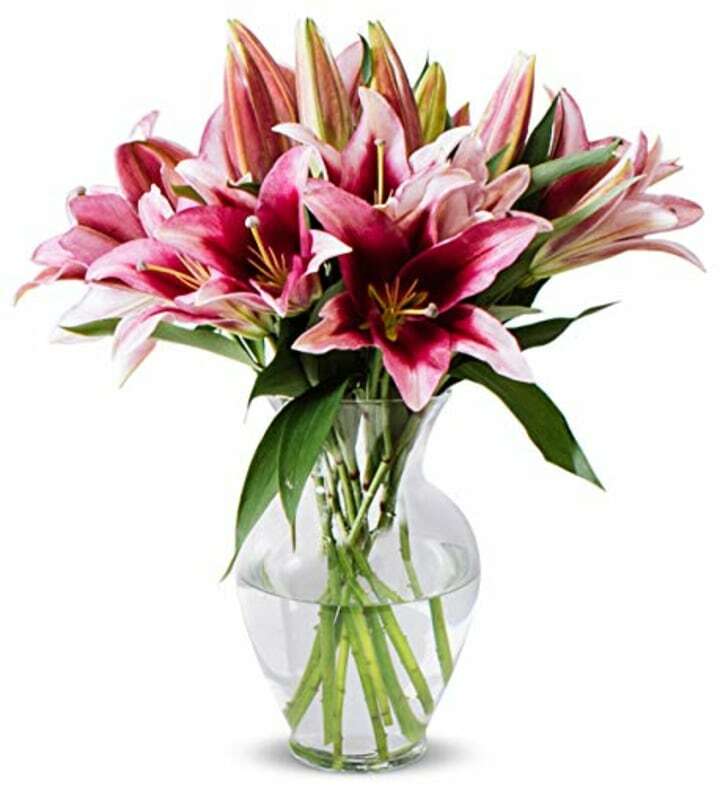 This best-selling bouquet has big, pretty stargazer lilies. 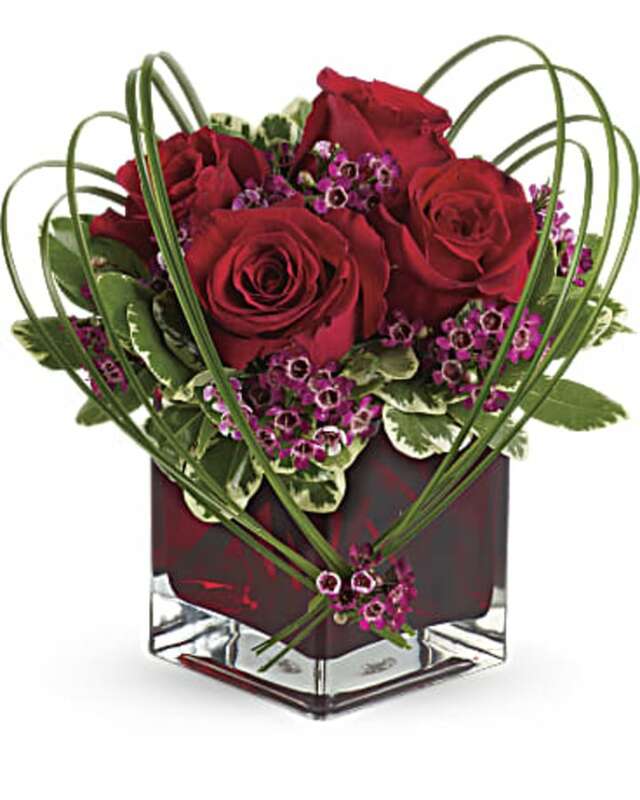 Flowers are shipped in bud form for optimal vase life and bloom open in two to three days. "Surprise Me" Rose Bouquet, $68, The Bouqs Co. This pretty mixture of pink, white and red roses is perfect for Valentine's Day. It also comes with pink Sugarfina candy. If you want to ditch the flower idea all together, this is a lovely alternative. 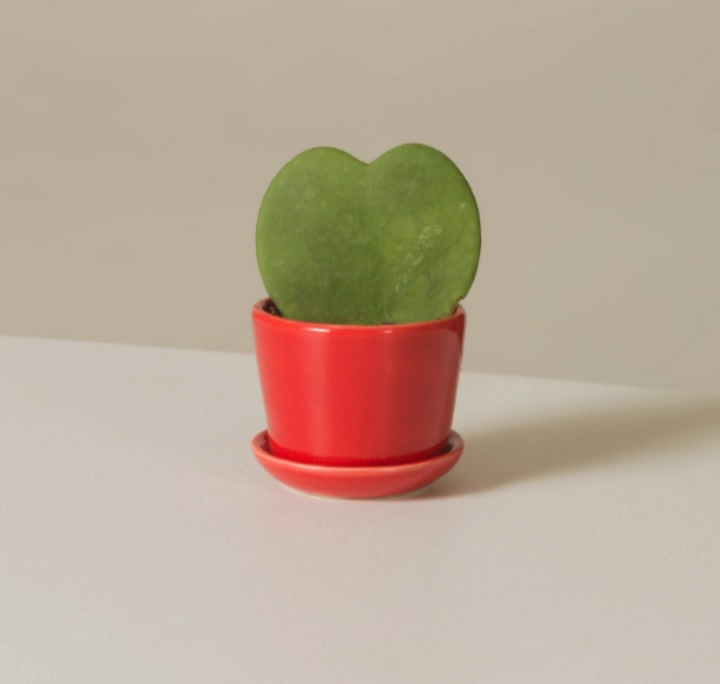 This heart-shaped succulent comes in a small ceramic pot. These plants are easy to care for and they'll last longer than typical flowers. This bouquet is great for any time, but it works especially well for Valentine's Day. 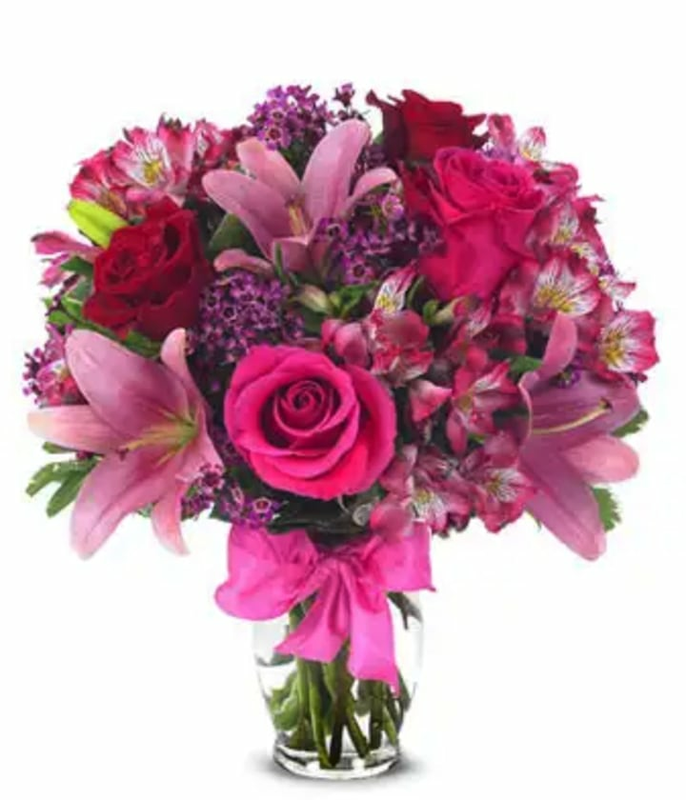 It is a lovely arrangement of pink asiatic lilies, pink and red roses, purple waxflowers and alstroemeria. It's one of the site's best-sellers. 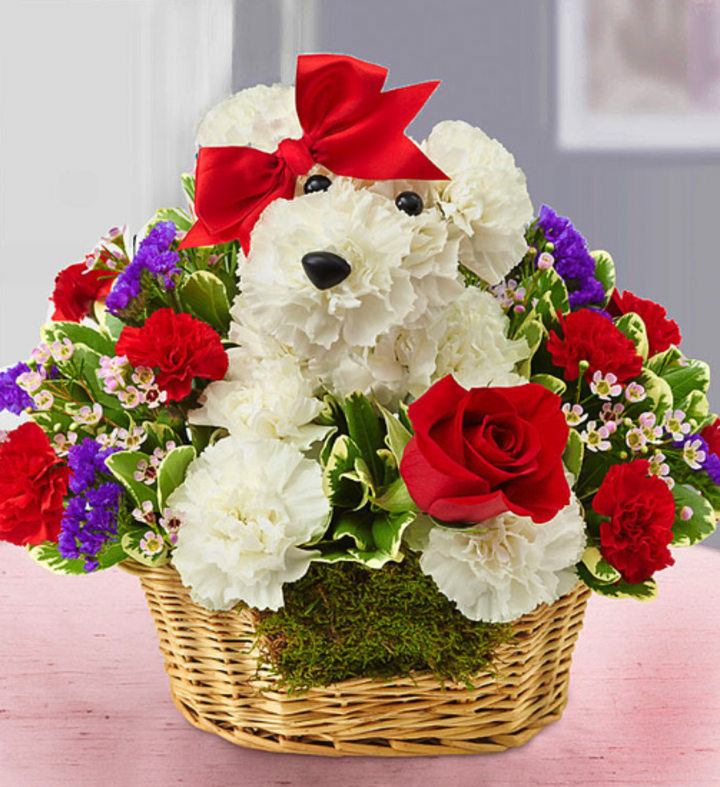 Get some unique Valentine's Day flowers this year with this adorable puppy arrangement. It is made up of white carnations, a single red rose, red mini carnations, purple statice, pink waxflower and assorted greenery. This is another fun alternative to traditional flowers. 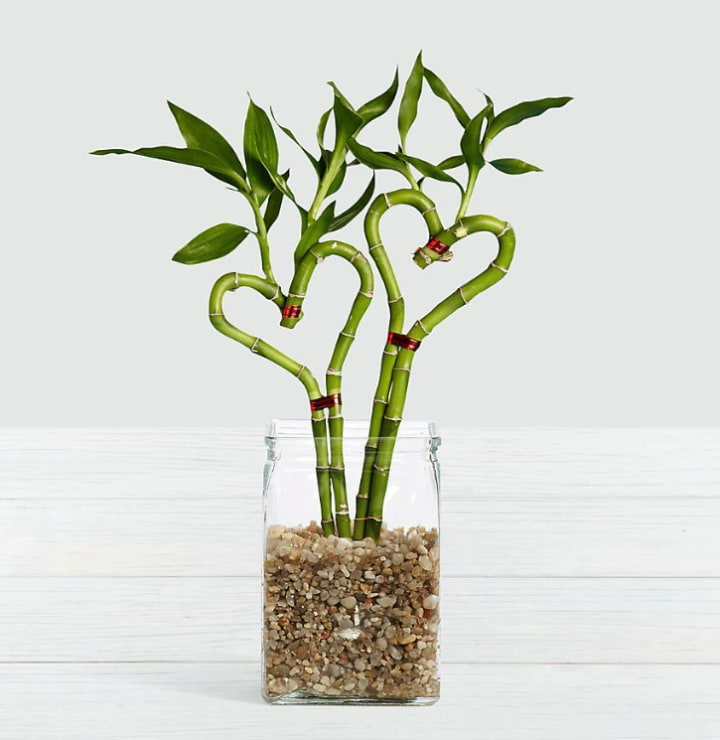 Although FTD does have flower bouquet options, we love these sweet bamboo hearts! This unique bouquet features red roses and purple waxflower accented with variegated Pittosporum and bear grass. It comes in a red glass cube vase. This warm Valentine's Day bouquet will surely put a smile on someone's face (or your own). The bouquet includes spray roses, shimmer roses, mondial, saga roses and spiral eucalyptus. 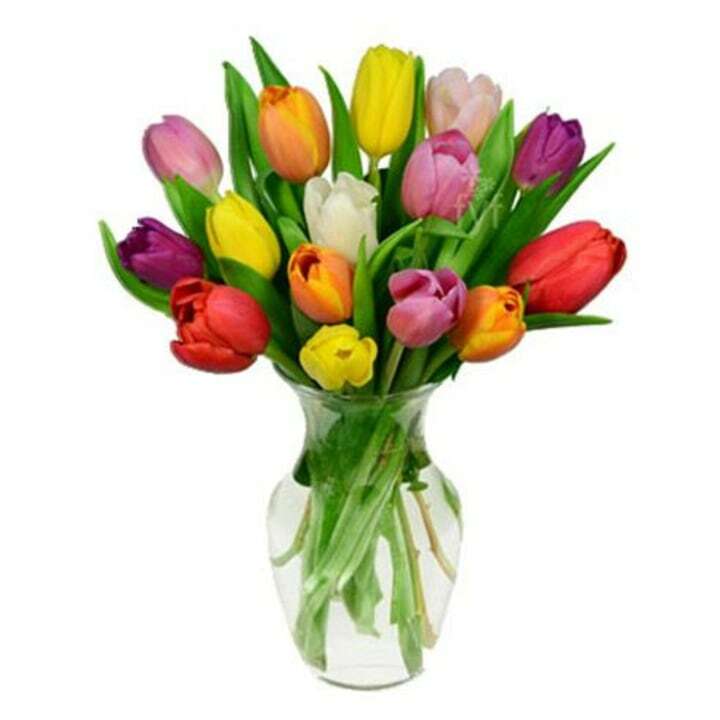 This bright, colorful bouquet comes with 15 tulips in a variety of colors. You also have the option to add a vase, balloon, bear or chocolates to your order.